What is the Estimated max. standby time when enabling Ultra power saving mode? 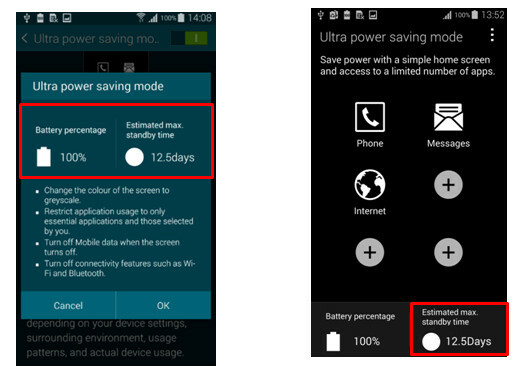 Q : When enabling the Ultra power saving mode on Galaxy S5, Estimated max. standby time is displayed. environment, usage patterns, and actual device usage.